Blend 198 is the intersection of two gravel streaks that run through Sullivan Vineyards on west Galleron Road. On the westerly gravel seam washed down off of Spring Mountain is the clone 7, planted by the family in 2000. Bright in flavor, dark cherries and dark berries, plush and concentrated finish. To the east is the clone 191 on a gravel riffle of smaller, finer cobble that was influenced by sedimentary forces long ago. Finer in tannin, more powerful in structure, the Clone 191 adds a layer of fine tobacco and bitter chocolate that, when co-fermented with the Clone 7, brings the two Cabernets together into a singular wine. 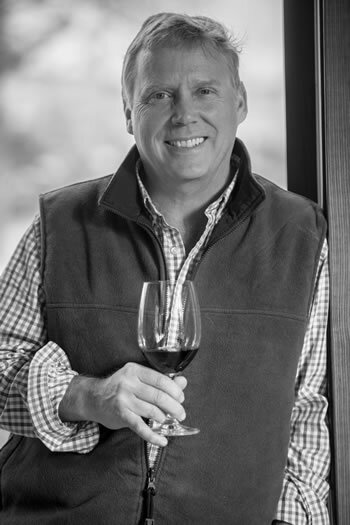 Scott McLeod was the winemaker for Rubicon Estate for 18 years, was named Wine Enthusiast “winemaker of the year” in 2009, and has now ventured out on his own. From his time working in Italy’s Chianti region, Scott McLeod developed a singular obsession: to make wine in the way of a classic European winery—an estate vineyard based exclusively on terroir. “The land is what we sell, what we manage, what we farm, what we walk every day…You are your land.” Beginning with the 2012 vintage, Scott brings his passion for winemaking, talent and expertise to Sullivan Vineyards as our consulting winemaker.